To plan a new paid marketing campaign, you need to concentrate on few basic and practical matrices i.e. object of your campaign and its function in over all structure of the venture. These matrices will direct you towards your goals that you must identify before starting to think about launching a paid marketing process. The structure of your account must be refined with themed keywords selection and classified ad group settings bring higher quality scores, where as higher quality scores results in greater discounts in advertising campaigns. To achieve anything you need to have clear targets and great adaptable plan that fits in your particular scenario. Be thoughtful, vigilant and realistic while considering goals, budgeting, intentions and outcomes regarding this campaign. Ask yourself few key questions to clarify your mind. What you want to achieve though PPC? What metrics are most imperative for your business? What are your expectations from paid campaign? Do you want to introduce your brand/business? Are you trying to get more visitors to your website? Do you to sell products on your website? Once you are confident about above discussed points, it would become less complex to create and follow path to successful PPC of your or client’s business. Keep the goals narrow and start making work flow strategy for the campaign with tailored settings. You must follow the predefined targets and assessments to set tight ad groups based on task dedicated, budget specific or category specific classifications of your Adwords account. It will bring you higher click through rate and excellent consumption of campaign budget. Ad’s representation and convincing power plays crucial role to bring more customers to your website. Optimize copy writing with sheer force to get desired results. You must be aware of your strengths and your weakness simultaneously to make yourself victorious in the ocean of strong competitors. Plan, organize and launch promotional material concurrently to compete with winning entrants. Promote special offers, deals and discounts effectively to increase PPC ROI. Continually monitor your progress through CTR and budget expenditure. Having site-link extensions on your site would also give more value in comparison with sites that lack site-link extensions. From first step of the campaign, systematic and well organized approach should be adopted to avoid fuss in later stages. Stick to defined plan, regularly update themed keyword selection and eradicate negative points from your campaign. Efficient strategy, compelling ads/offers and smooth flow of website will give you win-win situation to get huge conversion rates. 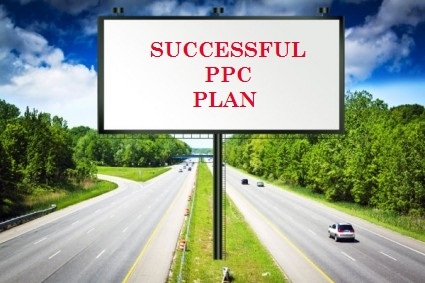 All these matrices will help you construct and operate successful PPC campaign.